Diwali is not a one day fest; it is a five day long carnival of celebration, love laughter and joy. Diwali is celebrated with different beliefs in India. There are many stories that are popular regarding the different stage of celebration in Diwali. The holy fest of Diwali starts from Dhanteras and ends at the festival of Bhaiya Dooj a special day to mark the love for brother. The second day of fest and popularly known as ChotiDiwali is another significant celebration of the carnival. Just as the day of Diwali there are many popular stories for the celebration of ChotiDiwali as well. In southern part of India this day is celebrated as Nark Chaturdashi. It is said that lord Krishna along with his wife killed a demon named Narkaasur on the day; it was the last wish of Narkaasur that the day should be celebrated with joy that is why Diwali celebration is a day ahead in south India. Lord Krishna after killing the demon had a oil bath, that is why it is a tradition in south India that on the day of ChotiDiwali people have an oil bath in Brahma Muhurat that is early in the morning at 5 o’clock. In northern India the day is celebrated as a moment to eliminate darkness from each and every corner of the house. That is why people lit diyas or candles in every corner of their houses or workplaces on the night of ChotiDiwali. It is said that yamraj the lord of death visits every home this day that is why people lit every corner so that the brightness should be spread in home and in life of everyone living there. Children burn crackers and there is same level of happiness and enjoyment on the day as well. As we know that each and every day in Diwali celebration is significant and so as the day of ChotiDiwali as well. People buy and send ChotiDiwali gifts to their loved ones. Sweets, hampers, gifts, Namkeen hamper, gold and silver coins, auspicious idols, home decorative, home furnishing these all are the assorted range of gifting for the day. Send ChotiDiwali gifts to those who are close to your heart and will always be there. Candles and diyas are the standard gifts for the holy occasion of ChotiDiwali; one could also send range of home essence for the day so that the home and life of their loved ones should blossom with flowery essence. Choti Diwali has same importance as Diwali celebration. People share gifts and sweets on this day also with their relatives and friends. The day is also celebrated just like Diwali festival children burst fire crackers and people illuminates their house with diyas and candles. Festivals are the time to cheer, enjoy and celebrate and share love and happiness with loved ones. So, on the special occasion of Choti Diwali you must share delectable sweets with your loved ones. 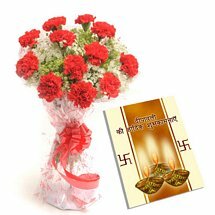 Even if you are far from them on this auspicious occasion then also you can make the day joyous for them by sending Diwali gifts to India online. Choosing the right gift for someone is difficult hence we have brought a solution for you to eradicate this problem. We have mesmerizing collections of Diwali gifts hampers that are apt for gifting. 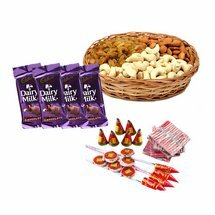 These hampers consists of mouthwatering sweets, chocolates, flowers, cards, diyas, candles, Laxmi Ganesha idols, figurines, dryfruits, etc. A hamper is a perfect thing to gift your relatives on festive or special occasion as it is the combination of different gifts packed in one. So, instead of buying various gifts buy only one and give it your relatives to make them feel special that you still care for them. Here you will find vast collection of Diwali gifts at best affordable rates. From premium gifts to spiritual, personalized to corporate gifts, we have everything that will fulfill your desire. For each day of Diwali celebration we have something for everyone. While browsing our site you will come across with different sections like Dhanteras gifts, Diwali gifts, Choti Diwali gifts, Diwali gifts for family, Diwali gifts for friends, Diwali gifts for employees and much more to help you to choose the best gift for your dear ones. Explore the site and go through the design catalogue available at the site to pick the best gift for your loved ones on Choti Diwali to make the festival extra special for them. On Diwali people decorates their houses and if your gift is something that can be useful on the festive day then it will considered as the best gifts. A gift should always be useful for the recipient so, you must choose accordingly. On Choti Diwali you can opt for Diwali decorations as gifts for your near and dear ones so that they can use it to embellish their home on Diwali. There are many things that you can opt for but diyas and candles are the prime element of this festival. Even on Choti Diwali people illuminates their house with fewer candles and diyas. So, you can buy Diyas and Candles online for your relatives. 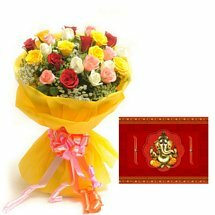 We have plethora of Diwali decorations and other home decors that are perfect to send your loved ones and Choti Diwali gifts to India like Artificial flowers, Torans, Bandarwal, Latkans, Wall Hangings, Diyas, Candles, Floating Candles, Aromatic Candles, Floating flowers, Jhumar, idols, showpieces and much more. Pick any of these decorative items and teem with delectable sweets hampers, chocolate hampers or dryfruits hampers to make it a special gift hampers for your loved ones. 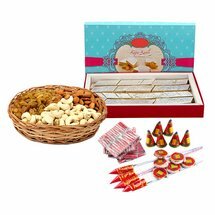 We have mesmerizing Diwali gifts hampers that are comprises of delicious sweets, chocolates, dryfruits, figurines, diyas, candles, flowers, cards, etc. Delight your dear ones on this Diwali by sending these mesmerizing gifts hampers on Diwali to make the day an unforgettable moment of their life.